Caraway seed comes from an ancient herb that is a member of the Parsley family. 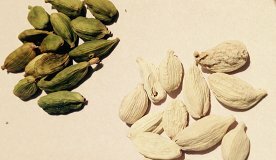 This spice has an anise flavor that is at first nutty. 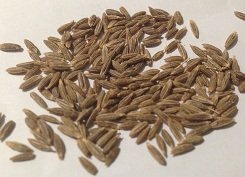 What is the Origin of Caraway Seed? It is indigenous to Iran and Turkey, and is grown throughout North America and Europe. This spice is used extensively in the cuisines of Austria, Germany and Hungary for baked goods. 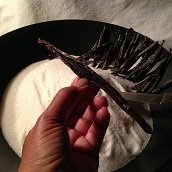 Caraway is good for foods like: beef, beets, breads, Brussels sprouts, cabbage, carrots, celery, cheese, cucumbers, onions, pork, potatoes, stuffing, turnips, and venison. What Are the Health Benefits of Caraway Seed? This spice can aid digestion. The seed can be chewed, or infused and drank as a tisane (herbal tea).